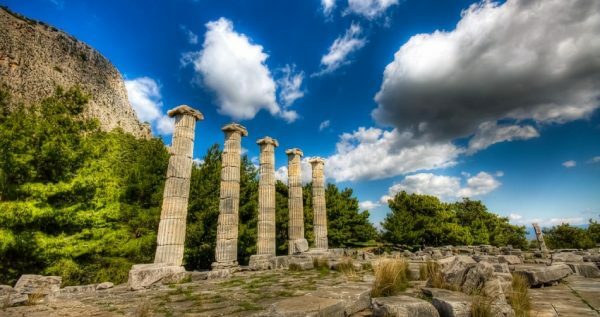 Get away from the crowds and participate in an amazing excursion in Priene, Miletos and Didyma. 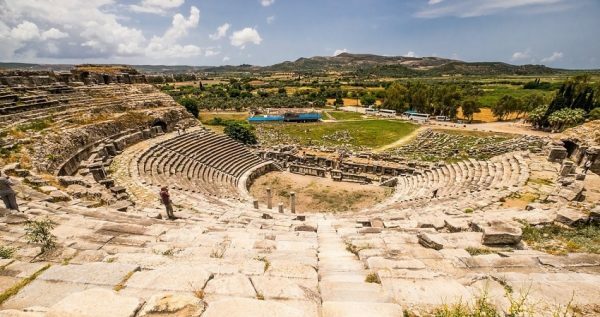 Enjoy a full day tour and visit some of the most important archaeological attractions of the region with Priene Miletos Didyma from Izmir. Ancient cities, impressive monuments, temples and many more is what this excursion includes. 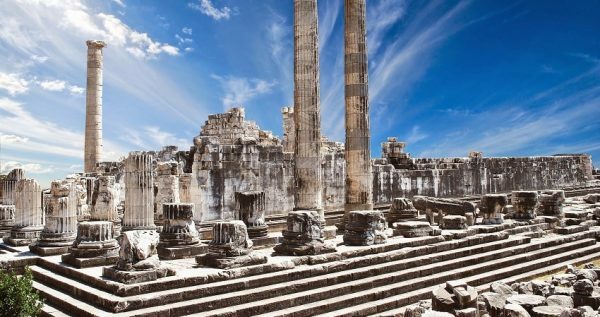 Spend a day full of history and immerse yourself into the secrets of the ancient world. 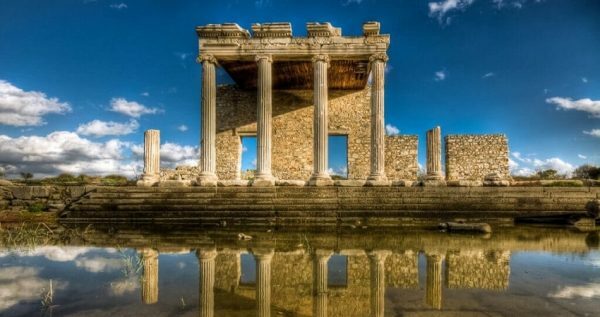 Priene Miletos Didyma from Izmir starts in the morning as a vehicle will pick you up from your hotel in Izmir or from Izmir airport at a scheduled time and drive you towards Selcuk. You will be travelling with a comfortable and fully air conditioned bus accompanied by a tour guide. The professional guide will assist you and make sure that you are having a great time. In addition, the guide will provide interesting information regarding the history of the sights. 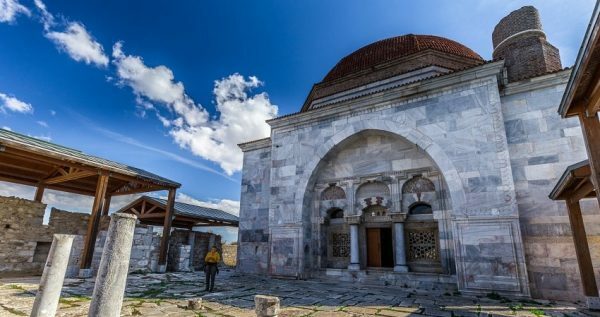 Once you reach Selcuk, which is located in a distance about one hour from Izmir, a short break will be made and then you will continue with a different bus on your excursion. A short first stop will be made at Bafa Lake. 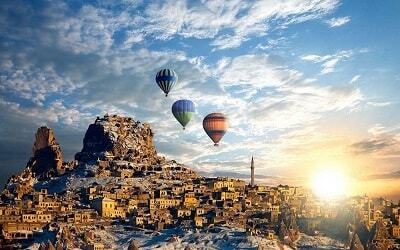 At a local restaurant you will enjoy a buffet of traditional Turkish breakfast. The restaurant offers amazing views over the lake, so take a chance to snap some photos. The excursion continues towards the next stop which is the Temple of Apollo in the ancient city of Didyma. The temple is one of the largest of the Hellenistic period. There, you can observe the ruins as the guide will provide interesting details regarding the temple and its history. The excursion continues with a stop at the ancient city of Miletos. 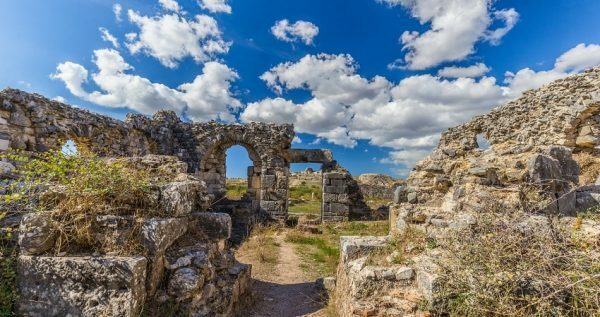 During the ancient times, the cities of Didyma and Miletos were connected with a sacred road. The ancient city is located on a hill close the Aegean Sea and from there you can observe and admire the natural setting. 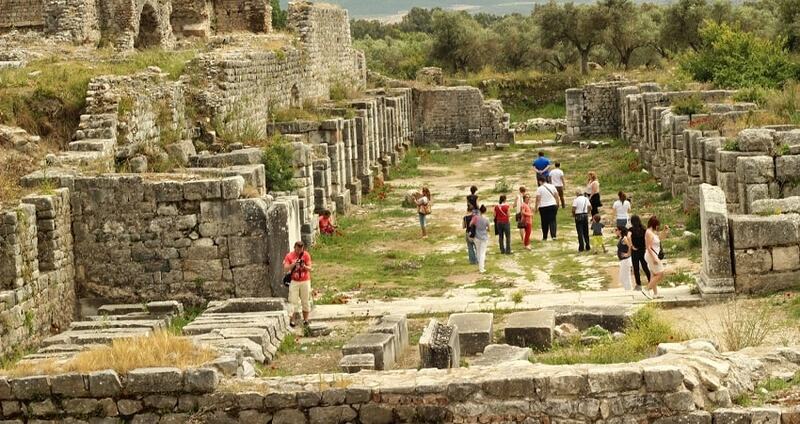 Miletos has a theatre that was built during the 4th century BC and the Roman Bath of Faustina. At a local restaurant you will enjoy a traditional Turkish lunch. Take the opportunity to relax and energize yourself during that time. The final stop of this interesting excursion will be at the ancient city of Priene. That ancient Ionian city is 2500 years old and showcases a significant interest. This is because it is among the first cities that were constructed with a grid system of streets. Your tour guide will explain everything you need to know about this ancient city. Right after this stop, the bus will continue on its way back to Izmir. 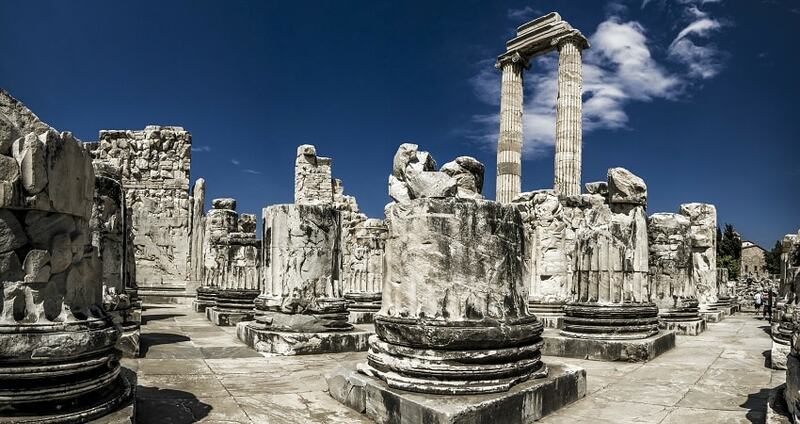 Priene Miletos Didyma from Izmir ends when you arrive back at your hotel. By the end of your tour, you will be impressed by the rich history of the area and you will have great memories from this exploration. 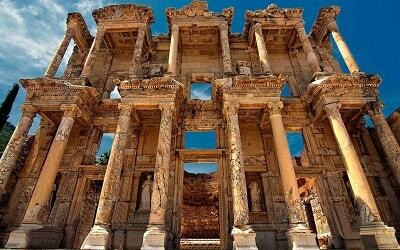 We are also organizing Ephesus Day Trip From Izmir. You may like to check it out. Enjoy an interesting and informative excursion and visit notable archaeological sites. 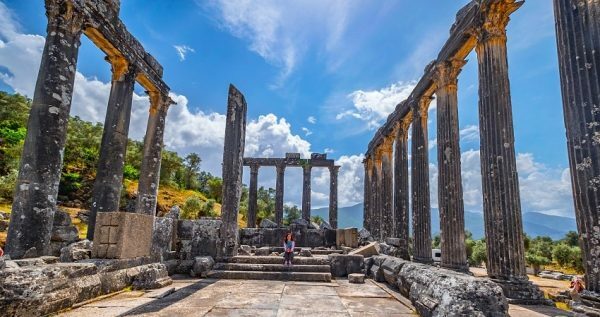 This full day Izmir Priene Miletos Didyma Tour offer you unique experiences and stunning views. Get the chance to discover the area’s history and admire ancient cities and temples. 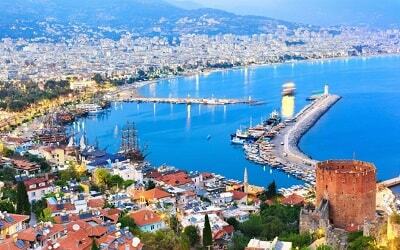 A comfortable vehicle will pick you up during the morning from your hotel in Izmir or from the Airport of Izmir. You will be travelling with a modern and fully air conditioned bus in order to enjoy the most of your experience. A tour guide will also travel with you in order to assist you and provide interesting information about the places of interest that are included in the excursion’s schedule. The first short break of this adventurous exploration will take place at Bafa Lake. There, you will enjoy a breakfast at a local restaurant that offers notable views over the lake. 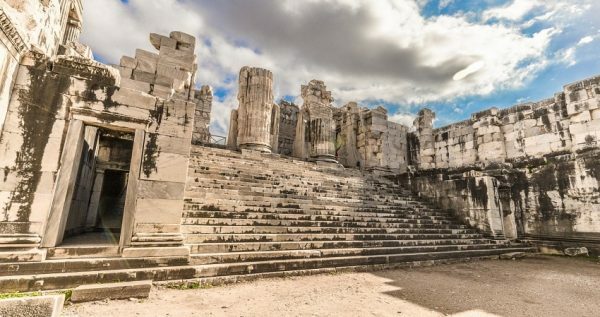 After the breakfast, the bus will drive you towards the Temple of Apollo. This monument was constructed during the Hellenistic period in the ancient city of Didyma. It is known for its size as it is one of the biggest that were built during that period. 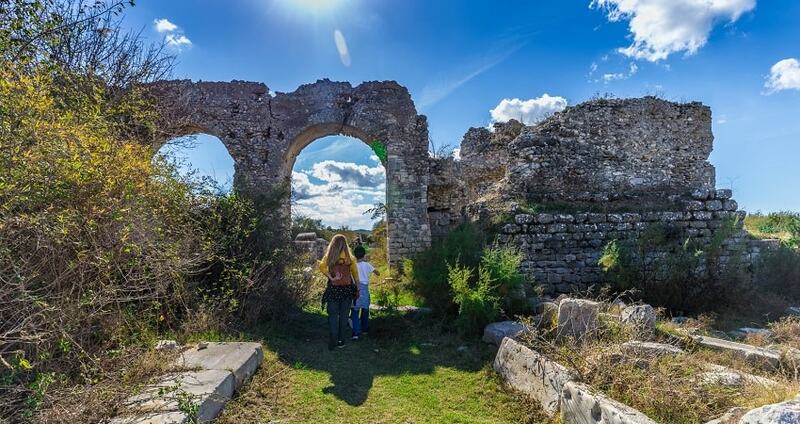 During your next stop you will be visiting the ancient city of Miletos. The area has an impressive natural beauty as the city was built on the top of the mountain. From there, you can enjoy panoramic views over the Aegean Sea and take some beautiful photos. 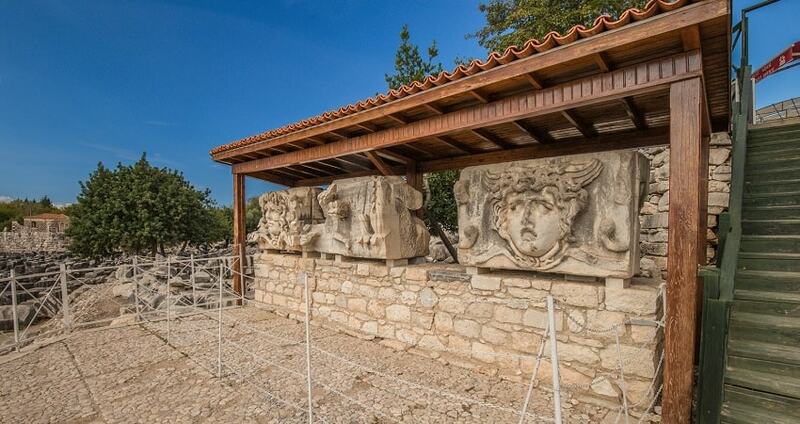 Miletos has a number of important monuments such as Roman baths and an ancient theater. Your tour guide will provide interesting information about the monuments and the ancient city of Miletos. 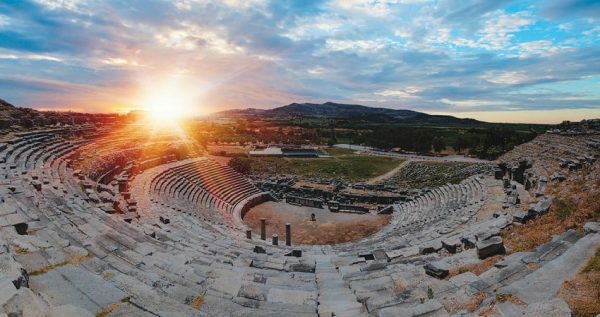 The ancient city of Priene would be the last stop of your exploration. It is 2500 years old and was constructed by the Ionians to overlook a river. The city features an interesting grid system of streets. In fact, it was one among the first to be constructed with this system. The guide will let you know every single detail regarding this interesting design and the history of this ancient city. 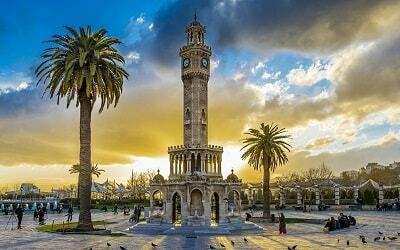 Once your last stop is over, the bus will continue on its way back to Izmir. The excursion finishes by the time you arrive back at your hotel in Izmir. 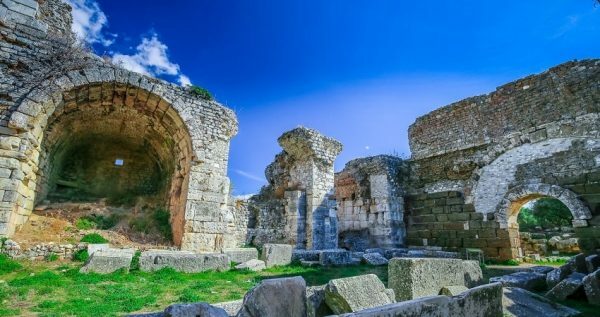 Izmir Priene Miletos Didyma Tour will offer you unique pictures and feelings and will be a memorable experience from your holidays.